Previously known as Bharat Constructions, the group was founded by the visionary Late Shri Karamvir Ambalal Barot. 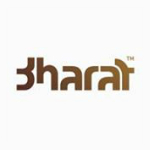 Bharat is an ISO 9001:2008 certified company. Our humble beginnings and our legacy of over 35 years have taught us that excellence lies in constant and consistent evolution. Evolution in quality, technology, durability, aesthetics and most importantly evolution of meaningful infrastructure has become our raison d'etre. We understand space better with each project and relentlessly compete with our own standards to develop experiences that our entire team is not only proud of but is also eager to encounter. Every project begins with its unique challenges and thus is dealt with the attention to detail and it's own personal meaning. Going beyond our role as a leading real estate developer, we believe that education is the best medium to enrich our society and our focus has been to contribute towards this cause.